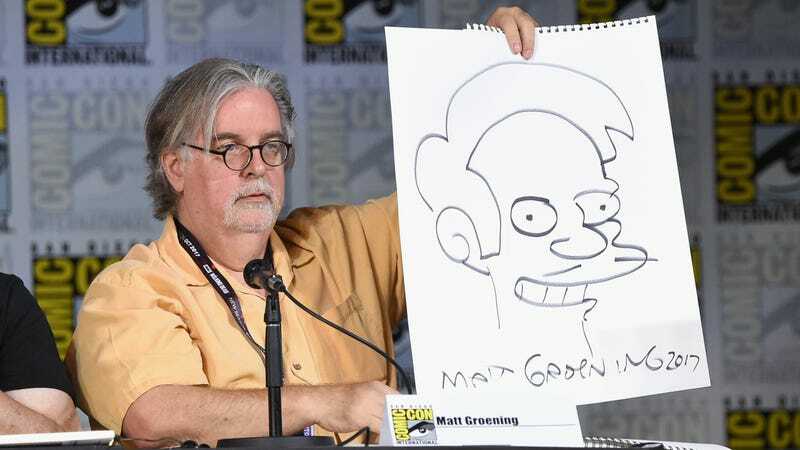 Matt Groening has something to say about Apu. Speaking to the New York Times’ Dave Itzkoff, the Simpsons creator weighed in on comedian Hari Kondabolu’s The Problem With Apu, what he thinks of criticism that Apu is a racist caricature, and what his plans are for the character going forward. Pretend to be offended at the full interview here.